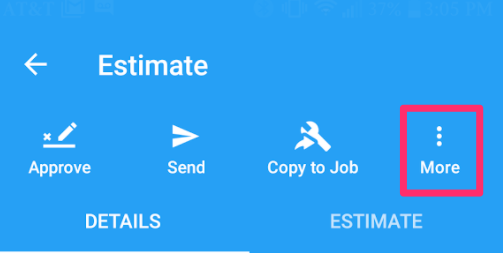 How can I change the estimate number from my Android? 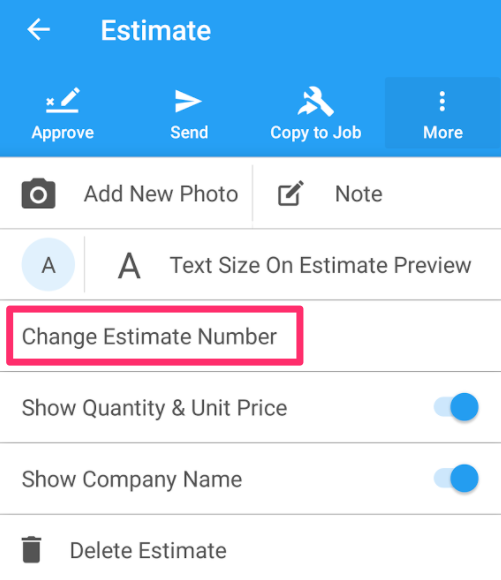 Learn how to customize your estimate with ease! From the estimate screen, click on More. 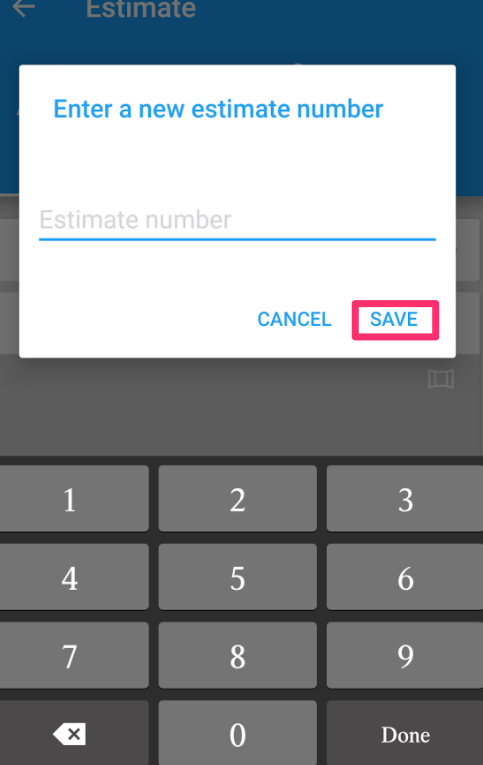 Enter in your new estimate number and click SAVE. Are you interested in learning how to customize your invoices on your Android as well? If so, click here!